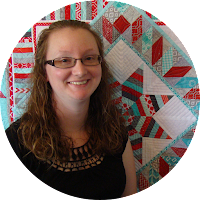 The quilting/sewing community hosts a lot of "swaps" - where you make something for someone and someone else makes something for you. 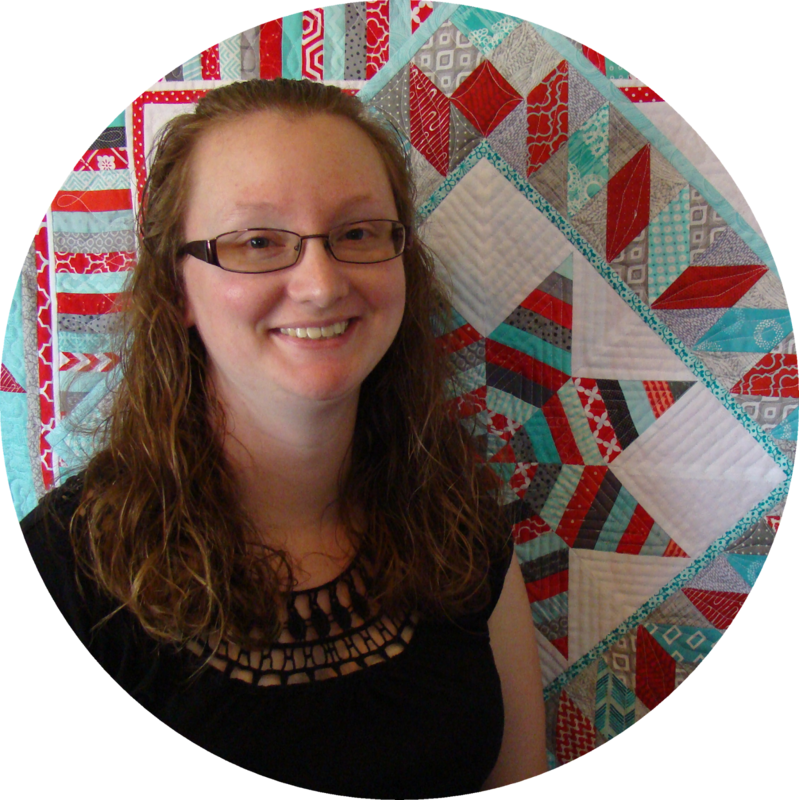 I have been an "angel" a few times (it is better to give than receive! 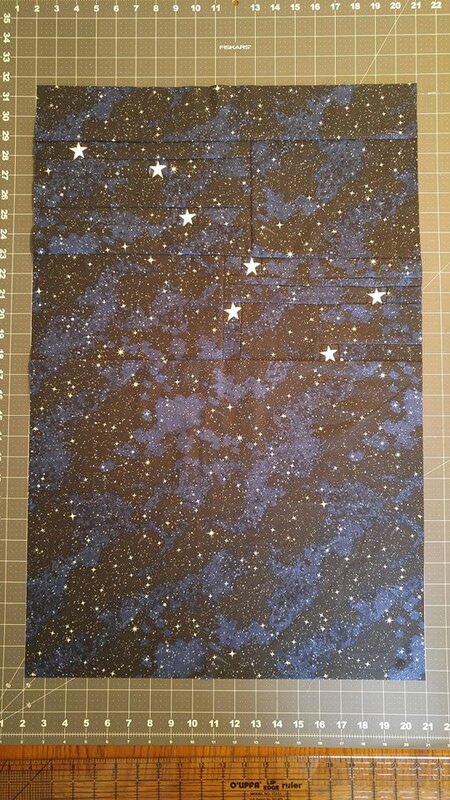 ), but decided to actually join the Geeky Science Swap. I haven't received my package yet (official shipping date is this Friday), but I wanted to share what I'm sending! 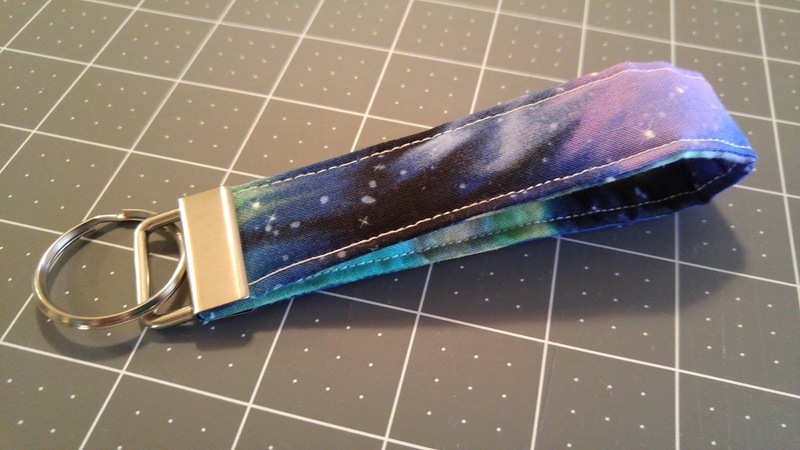 Of all the sciences, my partner loves astronomy the most. After much thinking (and scouring the internet), I decided on a Big Dipper mini quilt. I found an image that I liked, and planned the quilt around that. 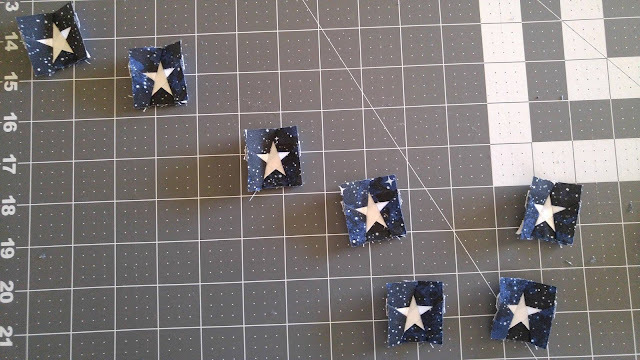 I started by paper piecing one inch stars. I adapted the pattern found here. 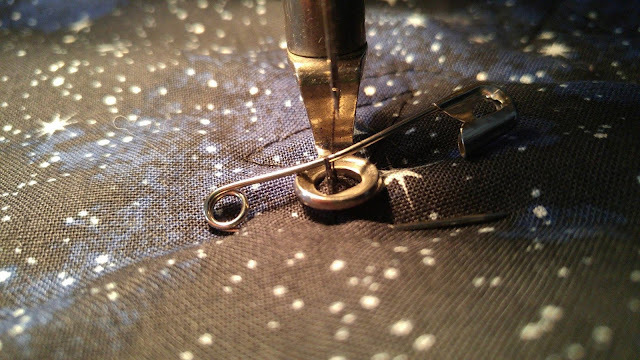 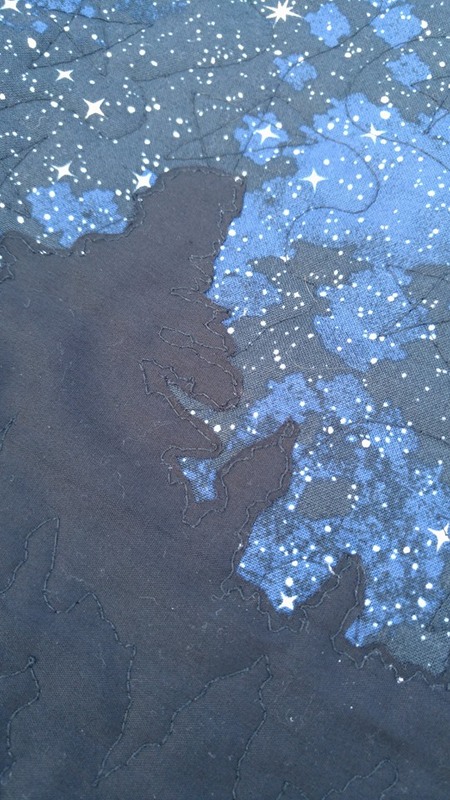 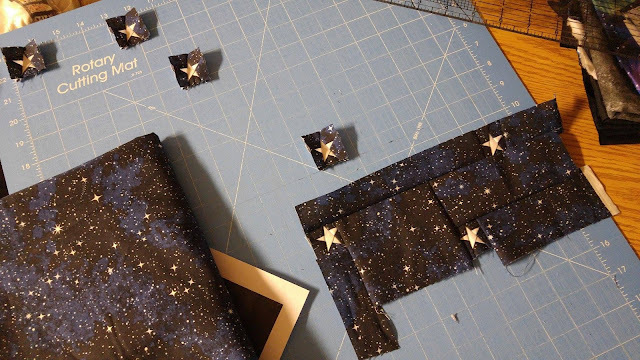 I took quite a long time trying to decide how to sew the stars together into the Big Dipper shape. I feel one star is slightly out of alignment, but based on how challenging it was, I'm very pleased with the overall look! 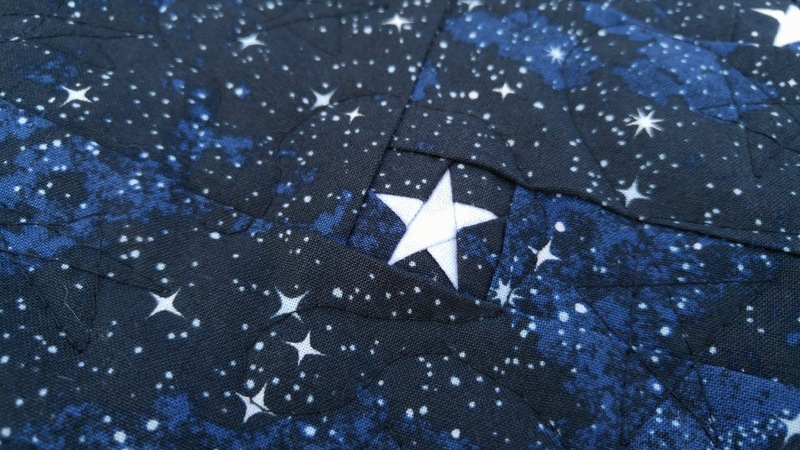 After the Big Dipper was sewn together, I pin basted the quilt sandwich. 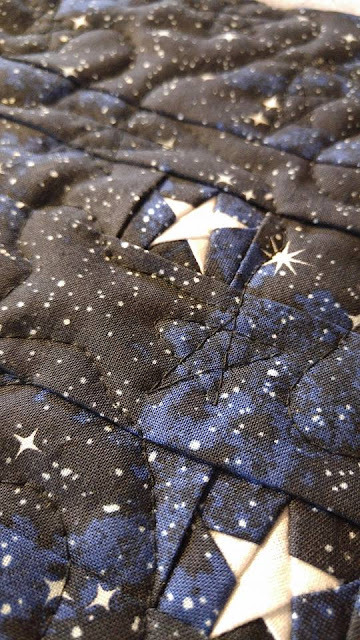 I used my Bernina Record 930 to quilt stars on it with black thread. 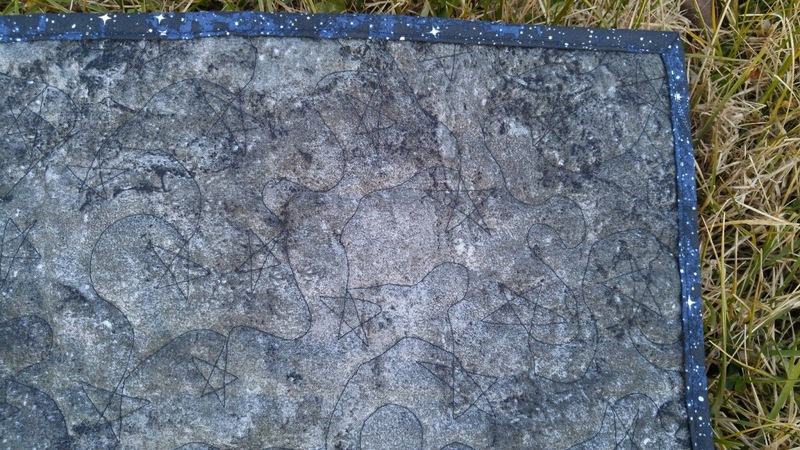 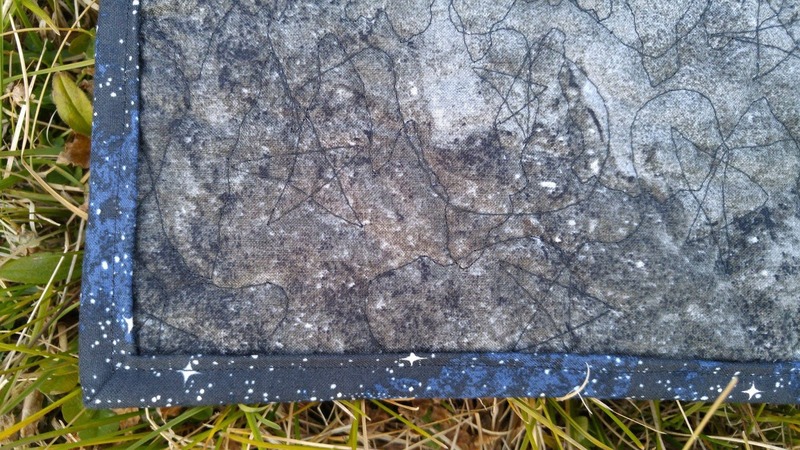 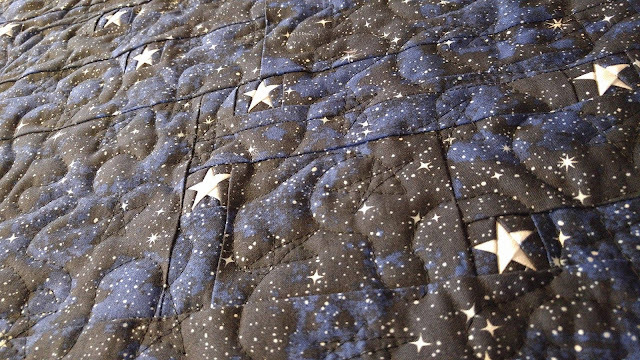 I did not quilt over the white stars that make up the Big Dipper. 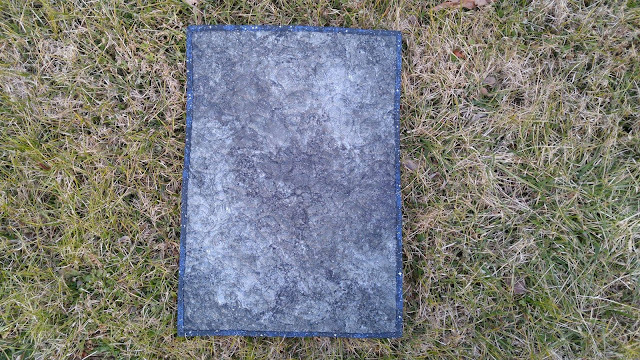 This created a very subtle background texture. 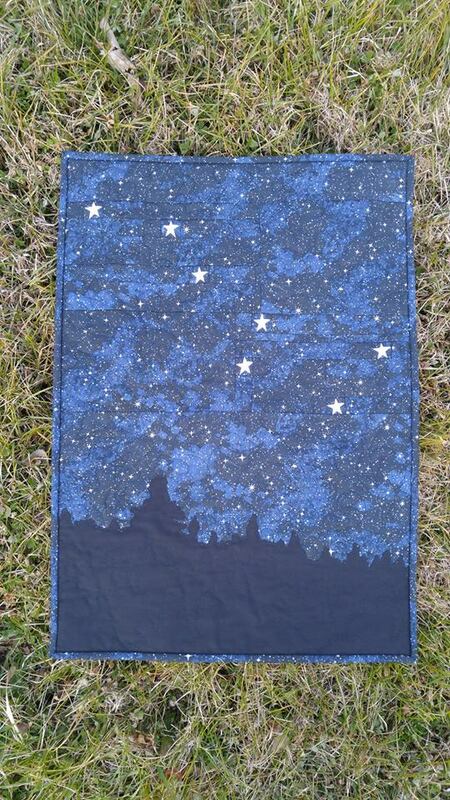 I used my trusty reverse applique method to sew black fabric onto the quilt making the outline of trees. I pinned the black fabric onto the quilt, pinned a paper printed image of the outline, and sewed through all the layers. Then I tore away the paper, cut away the excess fabric, and quilted additional tree outline shapes onto the black fabric. 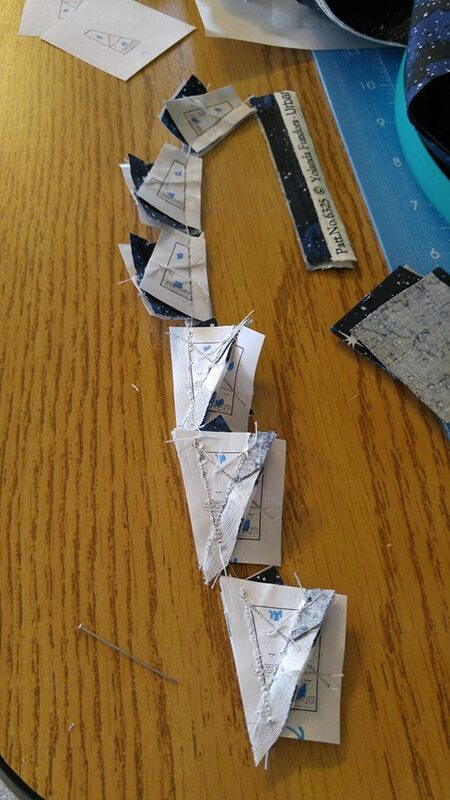 After sewing the binding on, I ironed on a fabric printed label (not pictured). 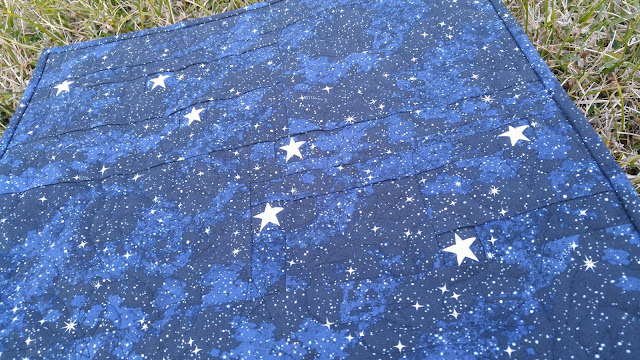 I also made a few extras to include with the quilt. Can't wait to see what I receive! So very creative, and those teeny tiny stars are perfect!